Explore our extensive range of Marshalls Paving. We deliver paving nationwide and offer a competitive price. The range includes natural and concrete paving. Established in 1890, Marshalls Paving has been helping to create wonderful outdoor spaces with their extensive range of hard landscaping solutions. Marshall paving range includes quality natural stone and innovative concrete products designed to enhance your home and outdoor living space. With an extensive range of beautifully designed quality products, Marshalls paving materials include sandstone, granite, slate, marble, limestone and concrete. Whether you are looking to create an outdoor living space for a contemporary or modern home Marshalls paving range will have designs to enhance your outdoor space. Choices include utility paving slabs, decorative paving slabs, Kerbs and edging along with garden walling and paths. Marshalls Natural Stone Steps range works very well to give a professional finish to your project. Marshalls Paving Slabs range is extensive and offers a great choice with many styles and colours including natural and concrete paving slabs. Designs and materials vary so you can choose your Marshalls paving slabs to fit your project size and budget. 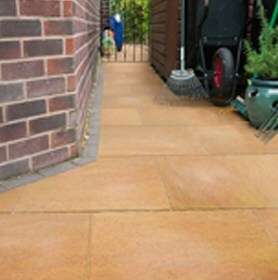 With a wide range of colours and textures Marshalls paving slabs come in traditional and contemporary models. Natural Marshalls paving is very popular and can work with many different garden designs. Marshalls paving slabs are durable and give a hardwearing surface to last for years to come..
Having a beautiful patio really maximises your outdoor living space. A must have for every home, a patio is both a practical and aesthetic feature of a garden, the perfect place to sit and relax, dine and entertain. Marshalls paving extensive range gives you lots of choice so really can create the perfect patio for your garden. 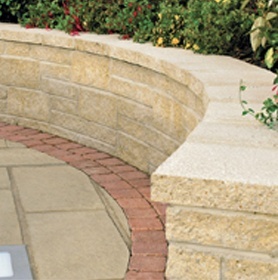 Marshalls paving range includes Marshalls paving circles which can add a feature to your patio or create a smaller secondary patio to enhance a corner of your garden. Many people have two patio areas to take advantage of the sun moving throughout the day. You could choose complimentary Marshalls paving slabs or go for the same look. A firm choice for drives Marshalls block paving comes Min a choice of natural stone and replica products, with matching kerbs and circles giving you the ability to create stunning driveways. Compliment your garden and drive with block paved pathways and complete the look with kerbs and edging to compliment. 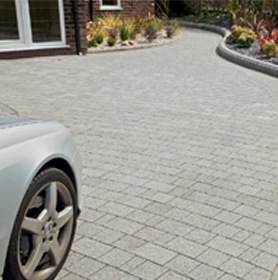 Marshalls block paving offers a comprehensive solution for driveway and pathways. 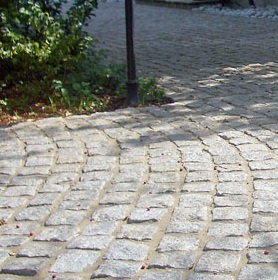 Explore our range of Marshalls pathways and Marshalls driveway setts and cobbles. The most important decision to make is how you plan to use your outdoor space and where you can use the Marshalls paving range. Will you want an extensive patio space for outdoor dining and entertaining? Do you want to create a natural environment where your hard landscaping blends discreetly into your cottage garden? 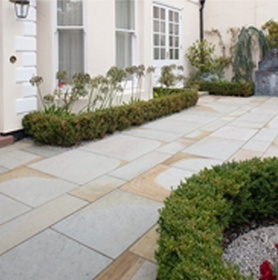 Does your Marshalls paving product choice need to complement a traditional or contemporary home? Once you have an idea of how your plan to use your outdoor space you then need to consider colours, which colours will complement your home, is the warmth of natural stone what you are looking for or is slate a better option? Marshalls Paving range includes Grey, Brown and Cream for you to browse through. You then need to consider style, do you want a uniformed look or a more natural structured approach to your space. Looking through our Marshalls paving products range you will be able to get a better understanding of which Marshalls paving products will work with your idea. Once you have decided on the look you want, browse through our extensive range of Marshalls Paving to make your product choice. 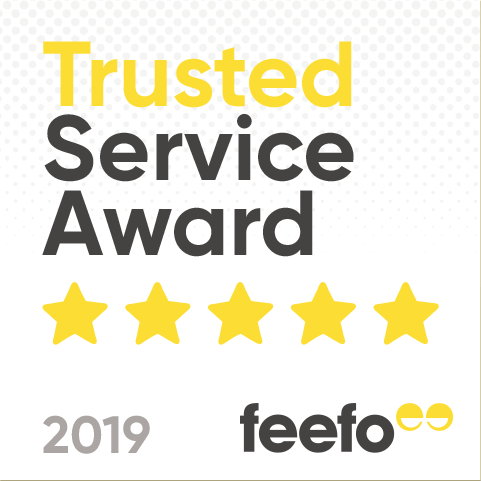 For complex or large orders our customer services team will be happy to help you.